When applying for visas for a stay of more than six months, many countries require a record of physical examination of the applicant. This examination often includes a standard, single-view, front-on chest X-ray to test for the presence of tuberculosis, known as a visa X-ray. Tuberculosis (also known as TB) is an airborne bacterial infection of the lungs. TB constitutes a global public health issue and therefore pre-entry testing is required for countries that the World Health Organisation states has a high incidence of TB. Active TB can often be detected by a chest X-ray. Which countries require a Visa X-ray? Each country has a set list of countries which they require a visa X-ray from if the applicant is to stay for more than 6 months in their country, or if they have spent six or more months in a specified country. Enquire with the relevant embassy or visit their website to find a list of countries or territories from which an X-ray is required. Countries will approve certain clinics to perform medicals or X-rays. Oryon Imaging are able to provide visa X-rays for most countries with the exception of Australia, New Zealand and the US. How can I get a visa X-ray? It is as simple as visiting your healthcare professional (such as your GP) to write you a letter of referral for a visa chest X-ray to rule out tuberculosis. You can ask them to fill out our referral form or they can use their own; as long as it’s signed by a registered healthcare professional. Oryon Imaging provides affordable private chest X-rays for visa medicals at just £65. Either contact us directly, or make use of our walk-in X-ray service, to book your appointment once you have your referral. Oryon Imaging also accept referrals directly from the South African High Commission, as they have a radiological report form which they complete in place of a referral letter. If you walk-in, you must bring your referral letter (or report form if applying for a South African visa). You will also need to bring a form of photo identification with you for your scan. The X-ray will take around 10 minutes, and you will spend around 30 minutes at our centre. The report can sometimes take a little longer than one working day, because it has to be physically signed by a Consultant Radiologist. This can be done when they come to the centre to hold their ultrasound clinic. We will contact you when it is ready, and you’ll need to come and collect it from our centre, or we can post it for a £5 fee. In addition to this, we will send a copy of your report to your referring clinician. We do work with some clinics who will have the report sent to the referring clinician instead of to you, but they will let you know if this is the case. 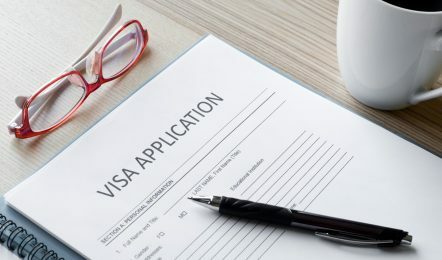 Some embassies require appointments for visa applications; for these appointments you must have all recommended documentation. We recommend you book your appointment after you have all required documents.